Two 14-year-old inventors have been awarded for their work in creating a handheld device which provides multi-sensory learning technology for children with all forms of dyslexia. Kiera McKillop and Sinead McKeown, St Killian’s College in Northern Ireland, have invented Dyslexic Aid, and have been named winners of the BT Young Pioneer award at the annual Tech4Good Awards. The awards, run by disability charity AbilityNet, is in its seventh year andrecognises organisations and individuals who use digital technology to improve lives.The Dyslexic Aid allows users to see, hear, write and say letters to aid learning. The prototype was built using a Raspberry Pi Computer and a Sense Hat add-on following engagement with the University of Ulster and the British Dyslexia Association. 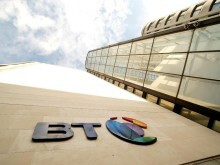 Ian Caveney, Senior Consultant in Sustainable Business at BT, said: “What impressed us about Dyslexic Aid is how it has brought technology to help support those with an existing difficulty in a new and innovative way. At the same time, the work of Kiera and Sinead should inspire all young people, and those with dyslexia in particular. It truly shows what you can do with simple, but powerful technology. 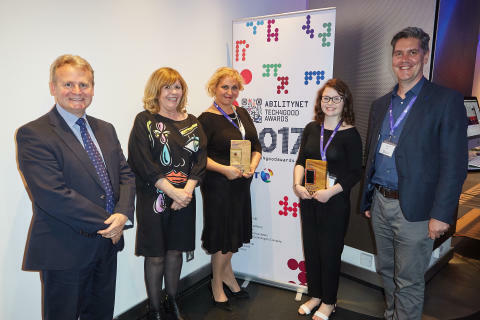 Founding sponsor BT this year chose the winners in two categories: the BT Connected Society Award and the BT Young Pioneer Award, both of which saw the accolades go to organisations which specifically help children via amazing technology. The BT Connected Society winner this year is Sky Badger, a charity that connects disabled children with each other and support in their area, at the touch of a button. Sky Badger communicates in innovative ways via its website, social channels and a confidential helpdesk and is available for free 24/7. Over the last five years, Sky Badger has supported more than one million disabled children and their families, with almost one billion visits to its website. Ian Caveney added: “For a parent, when a child gets diagnosed with a medical condition or disability it can feel incredibly lonely and hard to know where to turn. Sky Badger has used the internet to connect families and to go to where parents and professionals are looking for help and advice. This is how they have been able to help so many families so quickly.